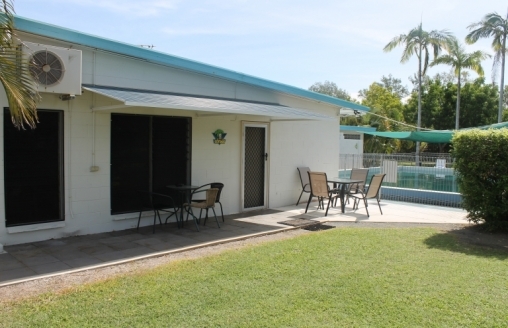 Situated nearby the pool and barbecue area, the Coral Cottage is our largest unit and offers bedding for up to 8 people*. 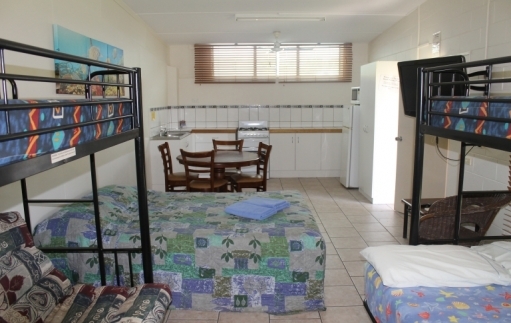 The Cottage is fully self-contained with en-suite, air-conditioning, ceiling fans, dining table and 37″ LCD television. 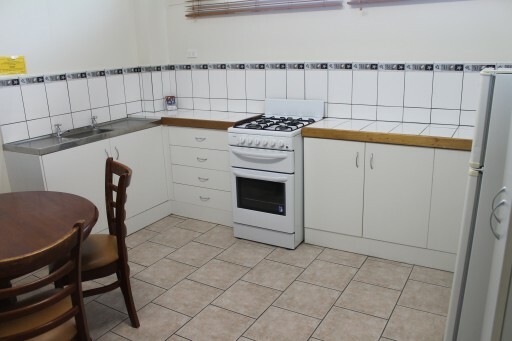 The kitchen is equipped with full-size refrigerator, microwave oven, full gas oven, saucepans, glassware, crockery and cutlery. Please note we do not allow pets inside this accommodation. 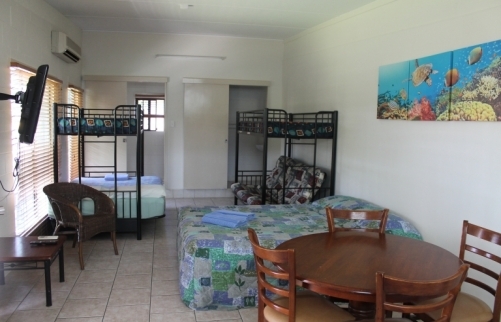 Two double beds with 2 single overhead *bunks *Note: Top bunks are not recommended for children under the age of nine.